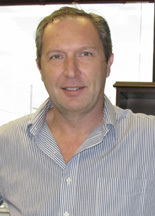 Krzysztof Reiss, PhD, earned his doctorate in cell biology from Jagiellonian University in Krakow, Poland, in 1989. At LSU, he is a Professor within the hematology/oncology section of the department of medicine and director of the SSSCC’s neurological cancer research program, which he co-founded with Luis Del Valle, MD. This initiative cuts across disciplinary as well as institutional boundaries to pursue a range of neurological malignancies, from childhood brain tumors, to Merkel Cell Carcinoma, a rare and very aggressive cancer in which neuroendocrine tumor cells develop on or just beneath the skin and or in hair follicles. By promoting active collaborations between basic researchers and clinicians, this program emphasizes translational research, which is research designed specifically to decrease the time required for a scientific discovery made in a laboratory to reach and positively affect the lives of cancer patients. Dr. Reiss’ research team focuses on molecular pathways involved in the development of cancer, particularly brain tumors. His laboratory investigates the roles of various proteins including growth factors, viral proteins, cell cycle regulators, and proteins associated with cell signaling and DNA repair in the development of brain tumors, including Glioblastomas, which are the most aggressive and incurable brain tumors, and Medulloblastomas, which are the most common brain tumors in children. A major discovery made by his research group is that the accumulation of mutations found in tumor cells is associated with translocation of a cellular signaling molecule (insulin receptor substrate 1) from the cytoplasma to the nucleus. This finding is important, because is increasing our understanding how tumors are formed, and may lead to the discovery of ways to prevent cancer. For example, Dr. Reiss’ findings of pathologic changes in cellular pathways caused by viral proteins have led to the development of novel protein-based strategies for preventing the growth and decreasing the survival of brain tumor cells. One line of current research tests the hypothesis that Medulloblastomas are caused by disruptions in the natural DNA repair process of brain cells that lead to the accumulation and selection of malignant mutations.